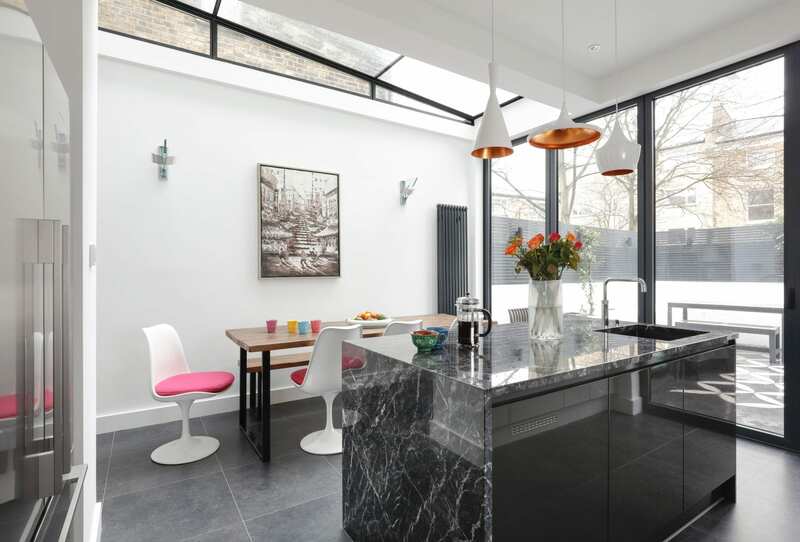 A new extension gave us the opportunity to create a stunning new kitchen for our clients. Our client wanted to contrast two shades of grey. 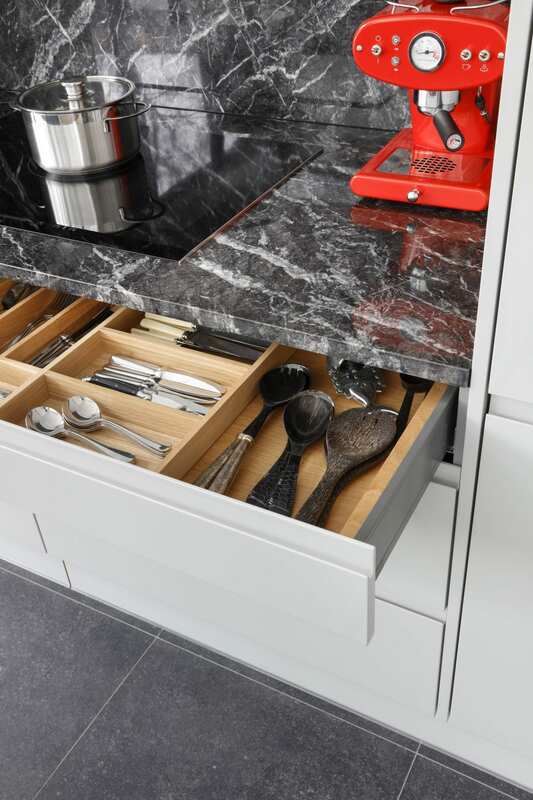 We created a custom-made breakfast to provide the client with more worksurface and breakfast preparation space. 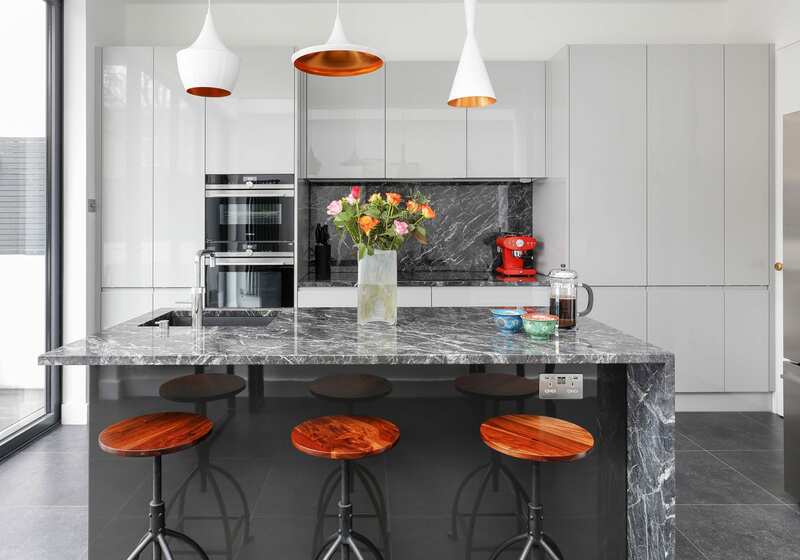 A light grey was chosen for the tall units, anthracite for the Island and a dark grey Carnico Marble for the worktops and splashback. 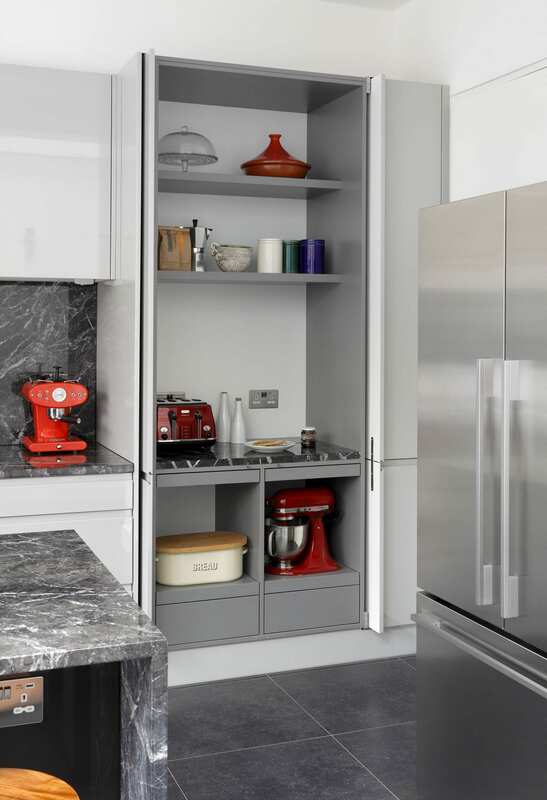 High-gloss finishes boosts light throughout the space. 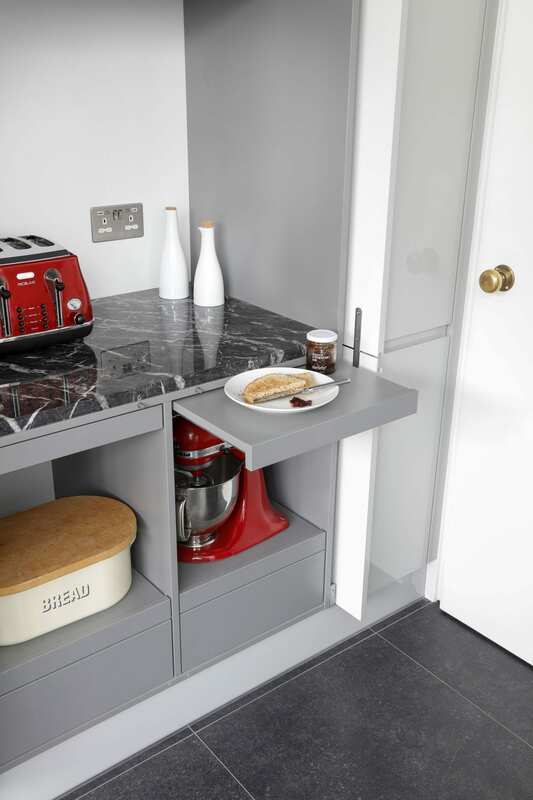 Push-to-open shelves create more surface space when it is required, and pocket slide and hideaway doors offer easier access.